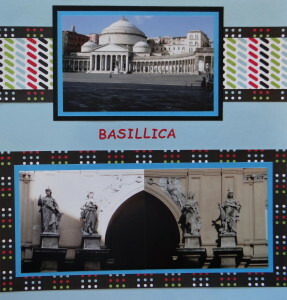 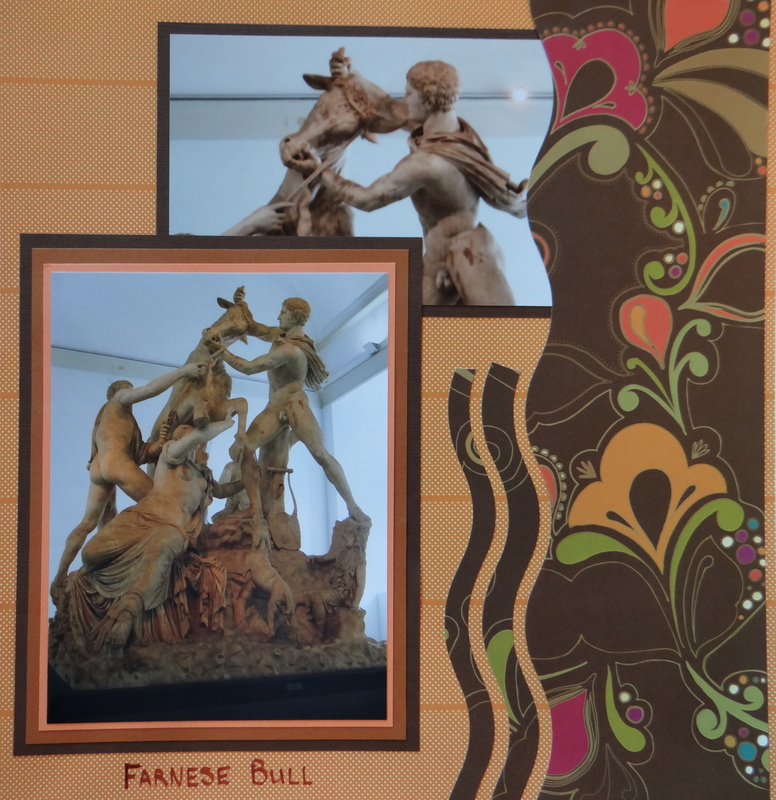 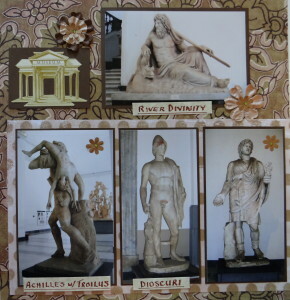 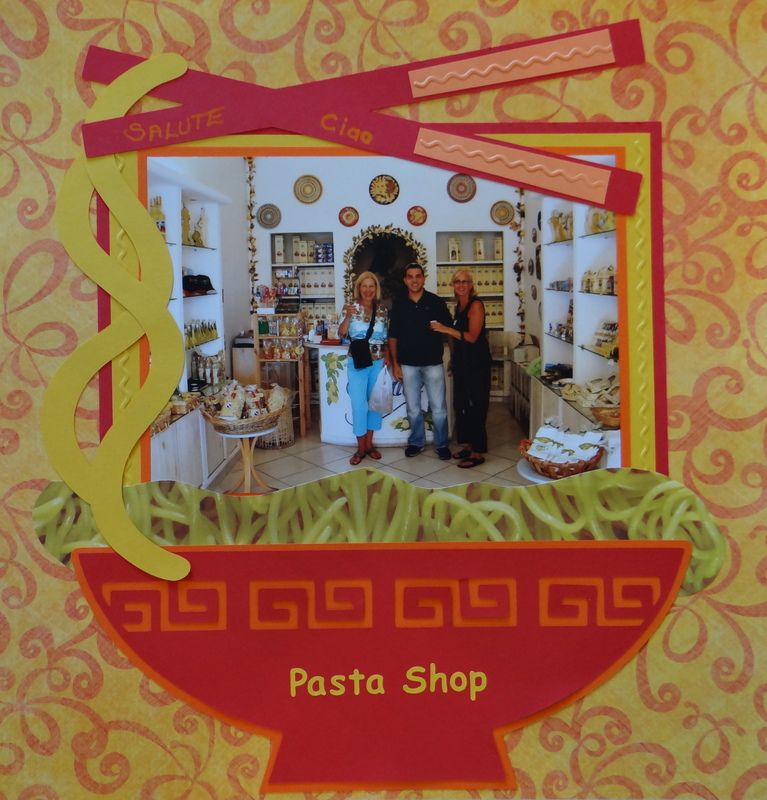 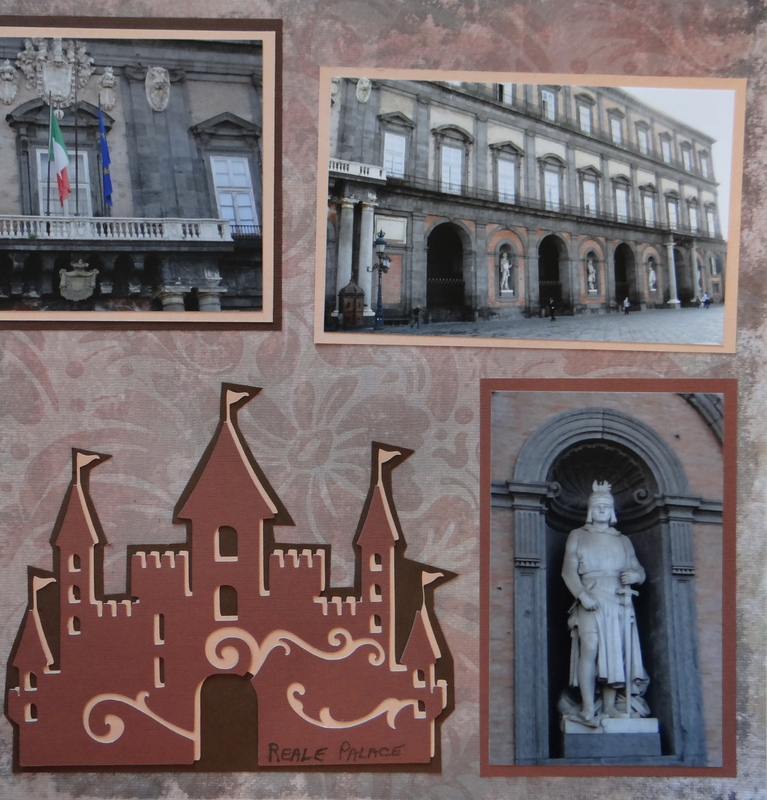 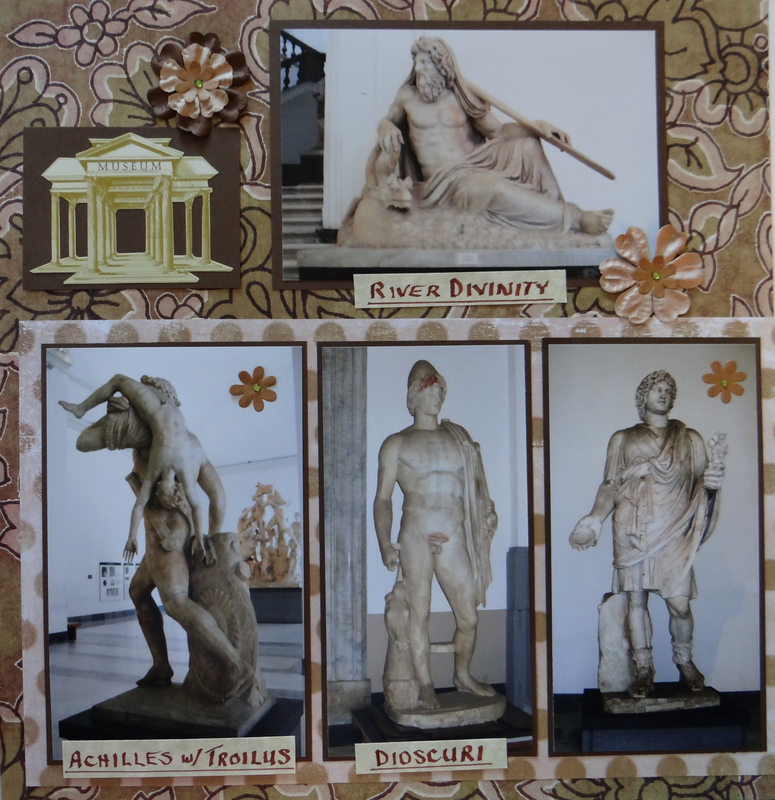 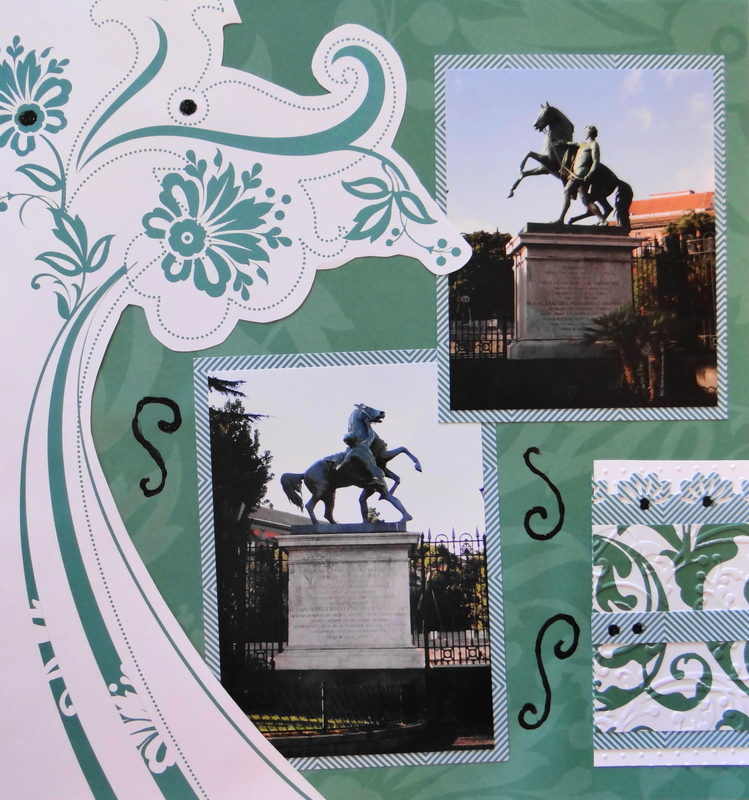 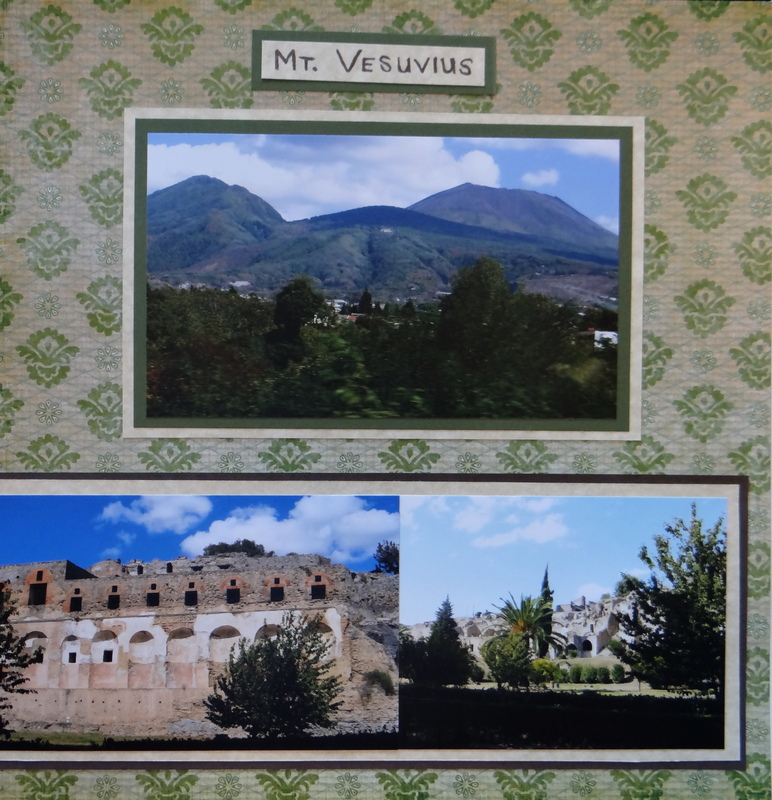 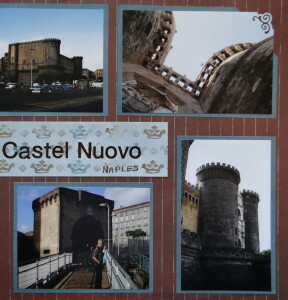 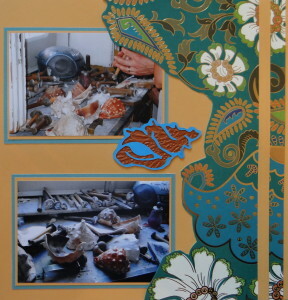 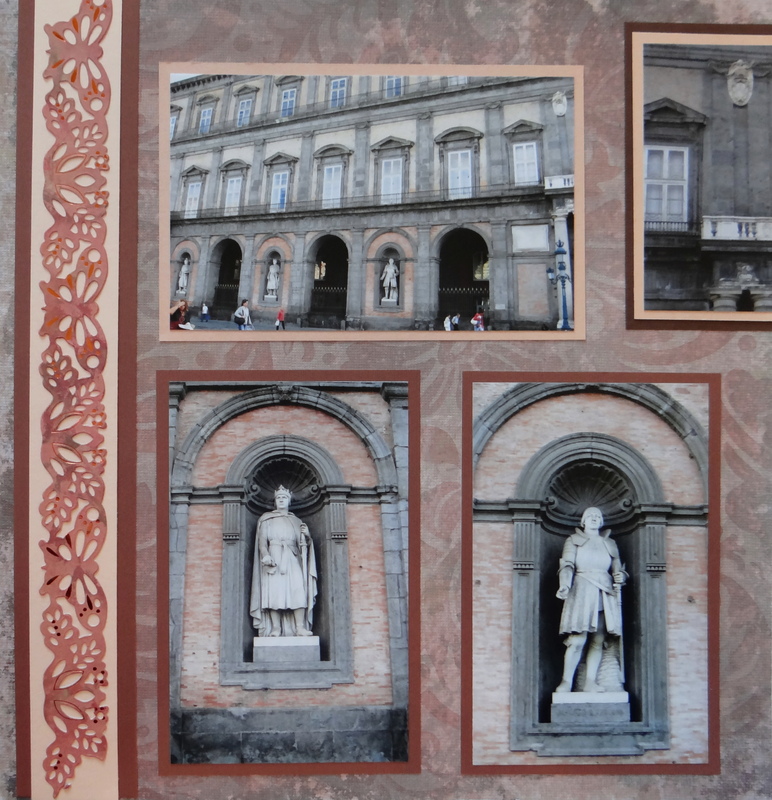 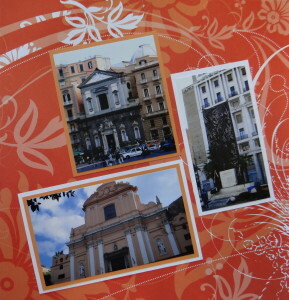 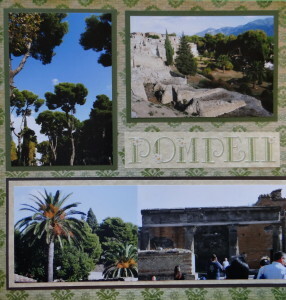 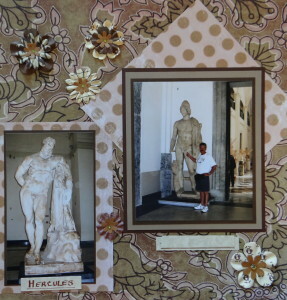 There are Naples scrapbook ideas in this travel album of Naples, Italy which was a port city on our cruise. 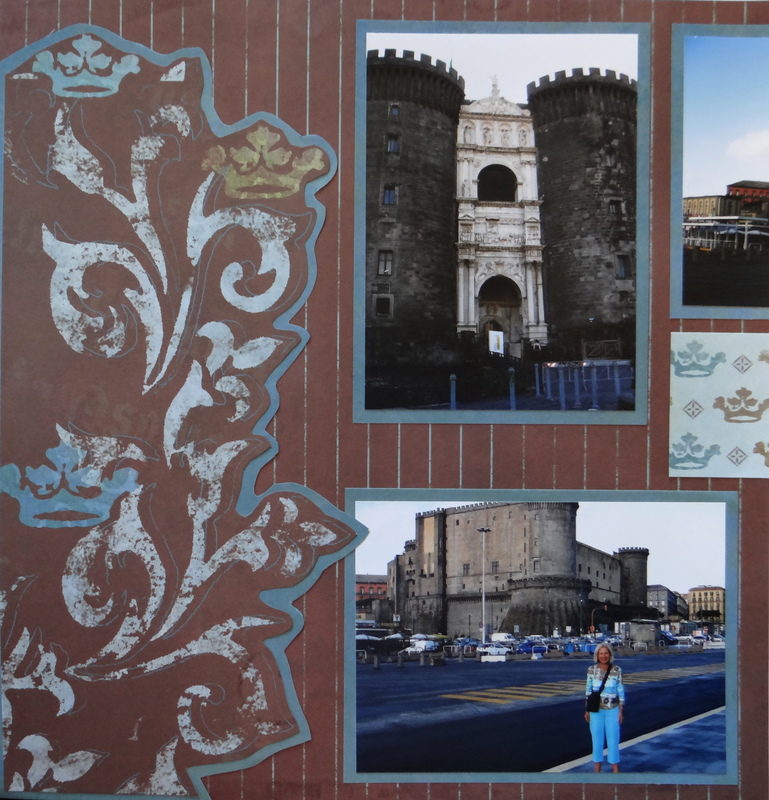 Inspiration: I was inspired by the pink toned brick of the Royal Palace we walked to, right off the ship. 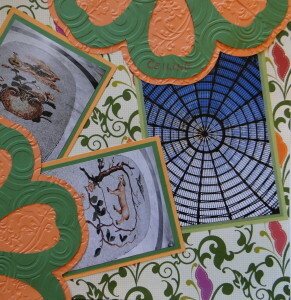 The paper is from DCWV Old World Paper Stack. 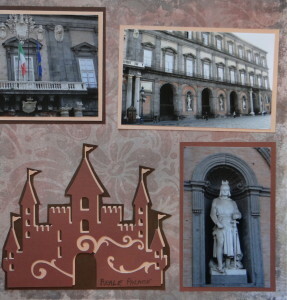 The castle is from Cricut’s Wall Decor and More. 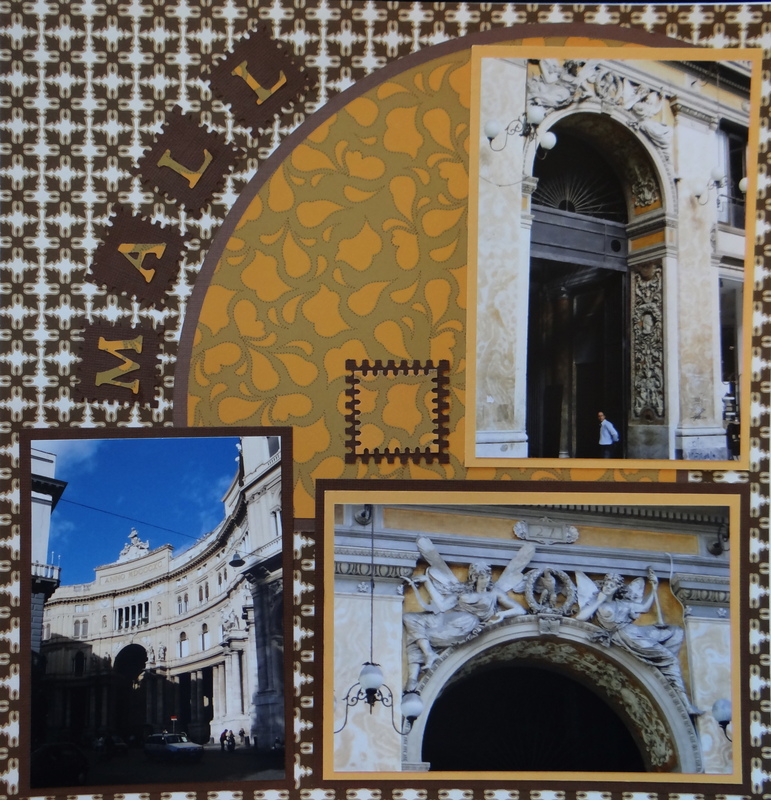 Inspiration: This mall looked more like an opera house. 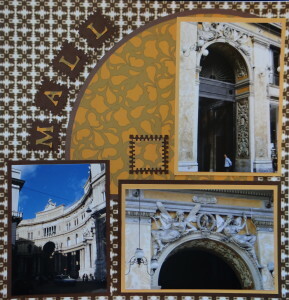 Nothing like the malls back home. 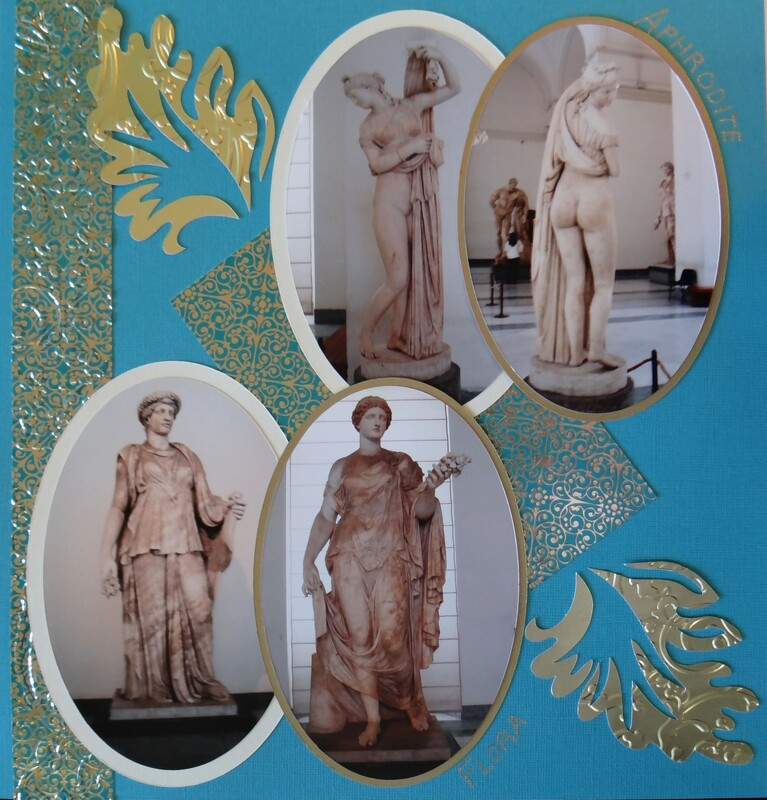 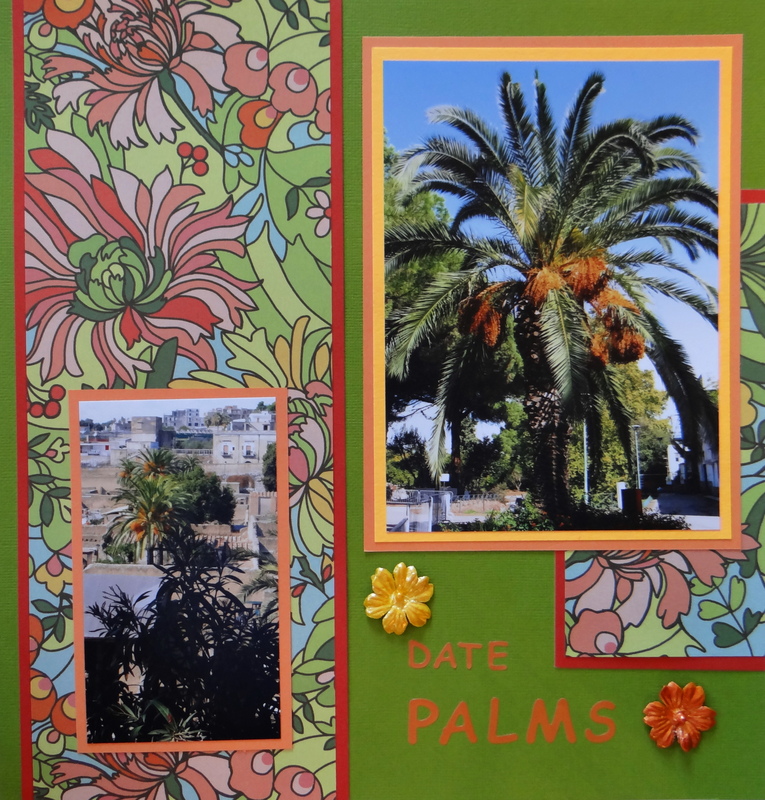 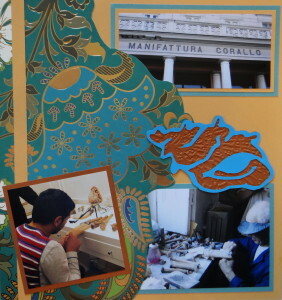 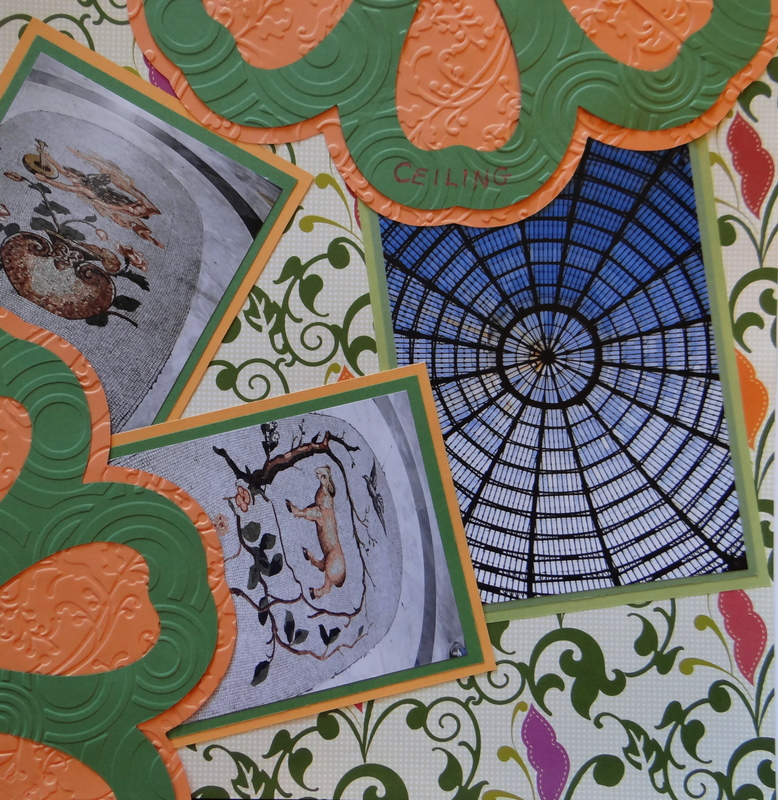 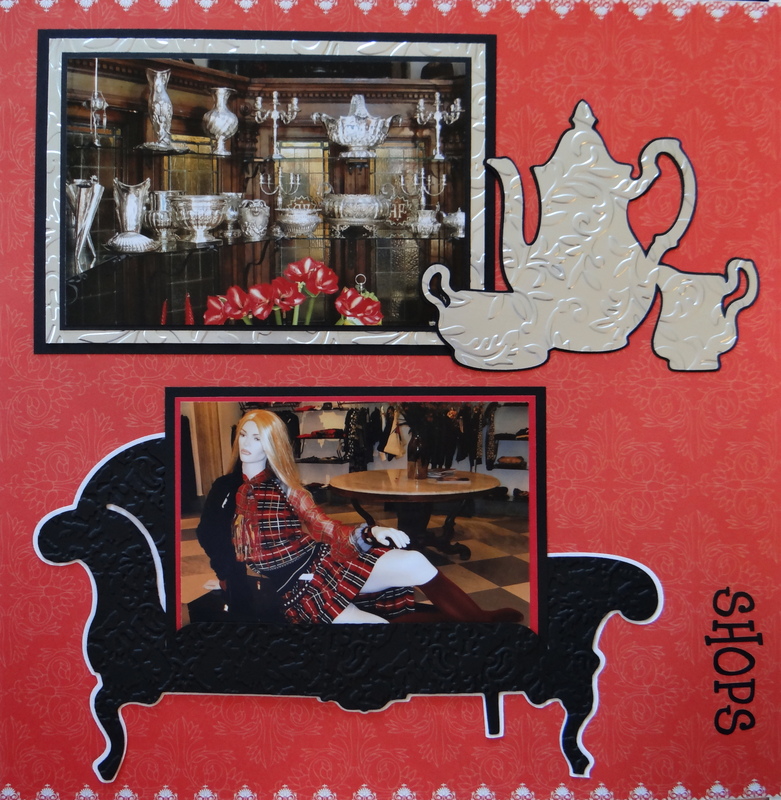 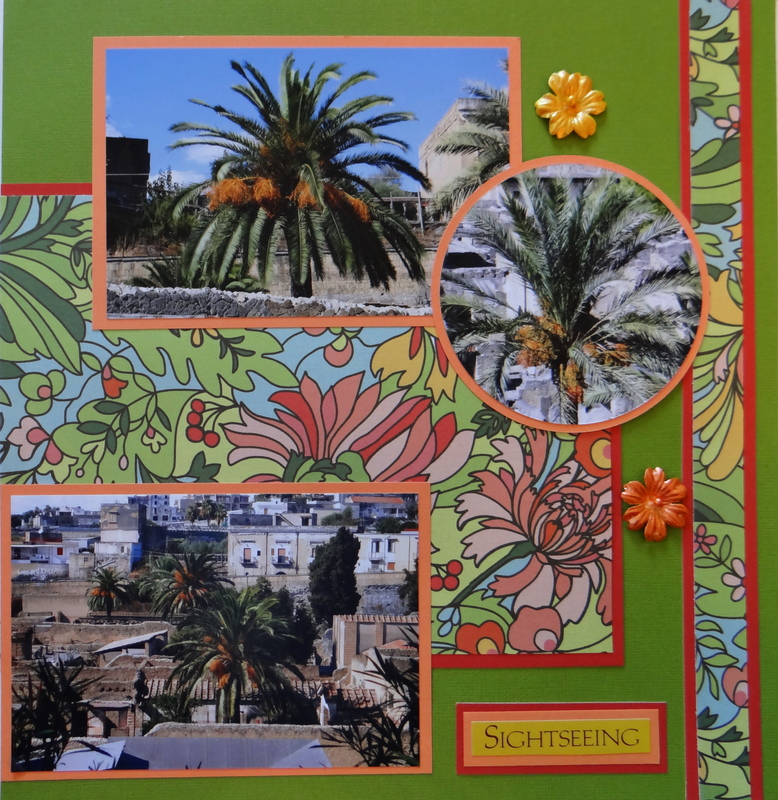 The gold leaf everywhere inspired this Naples scrapbook page. 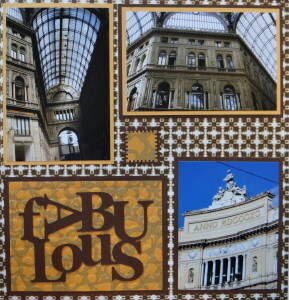 The title “Fabulous” is from Cricut Graphically Speaking cartridge. 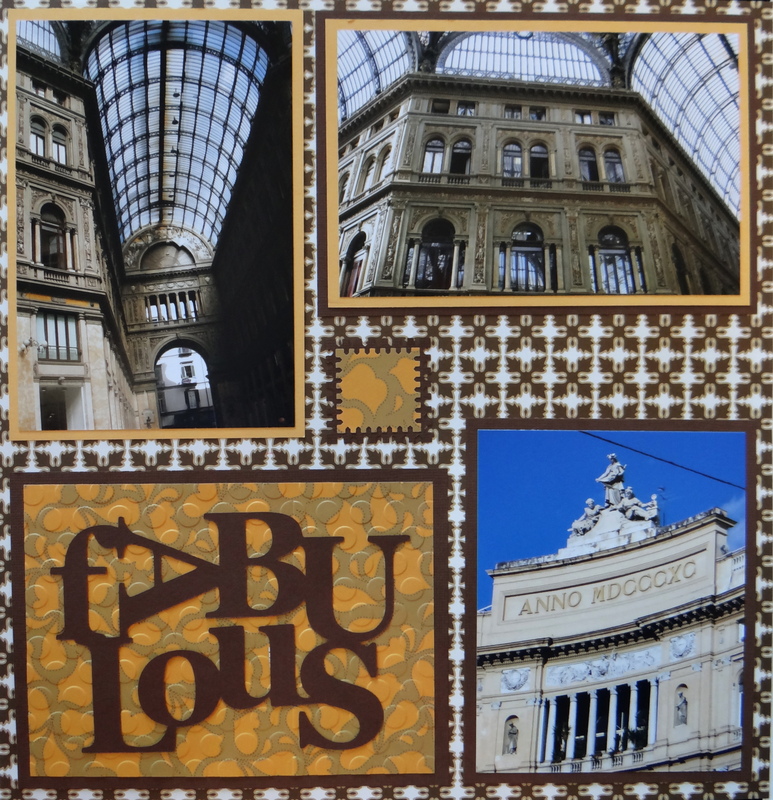 Inspiration: The mosaic zodiac signs in the floor of the mall. 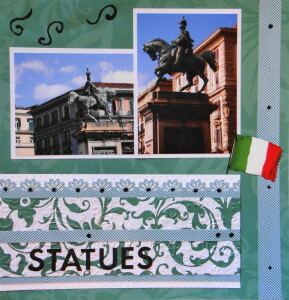 The scrapbook paper is from DCWV Fiesta Stack. 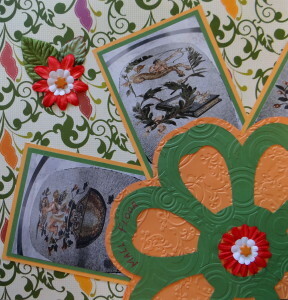 The large flowers are from Cricut Bloom. I embossed them. 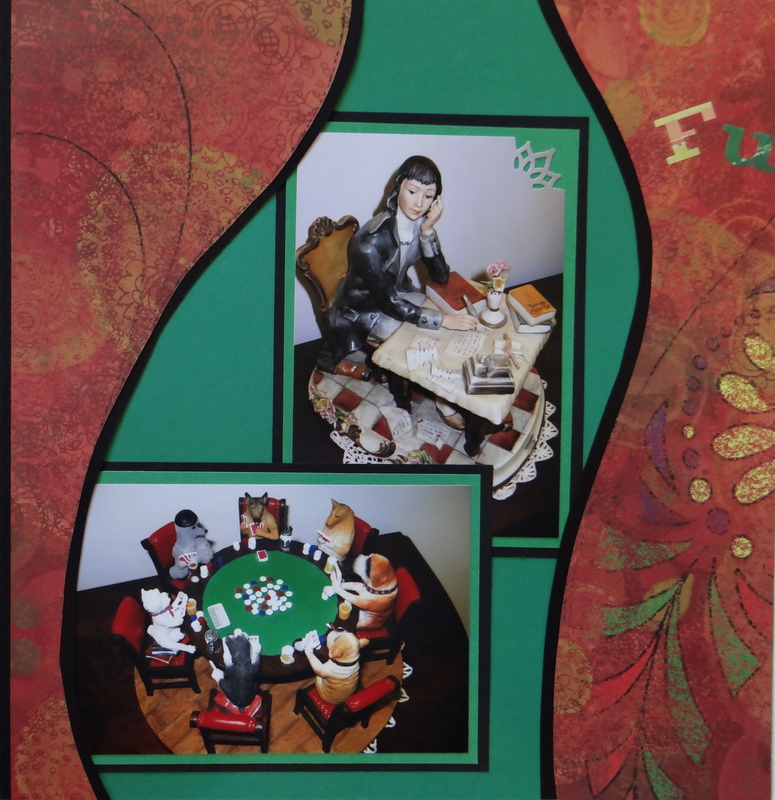 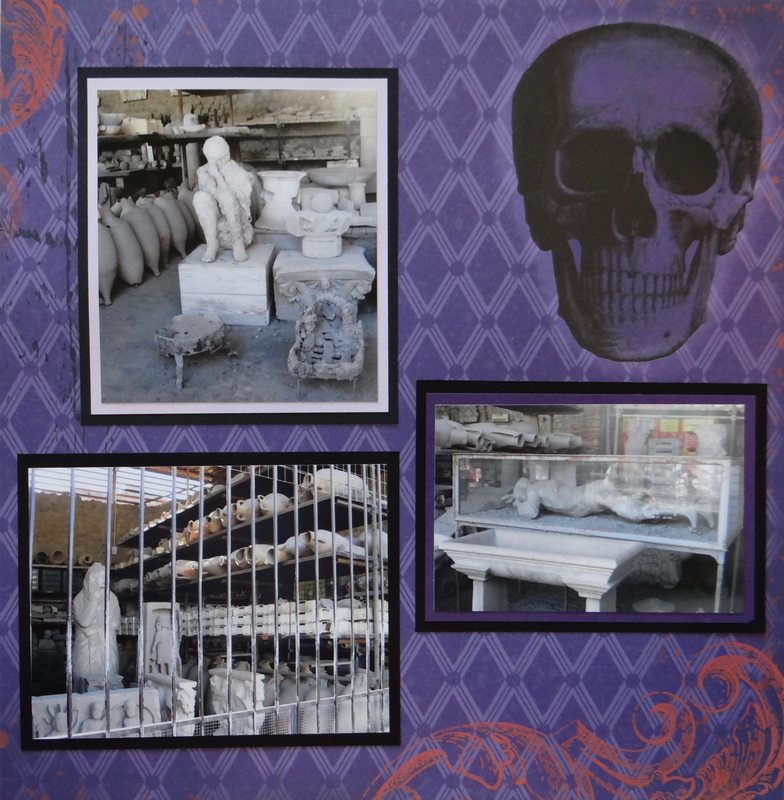 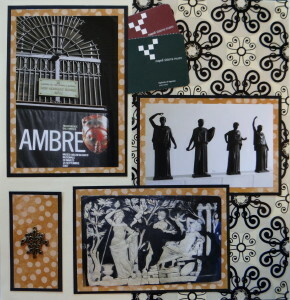 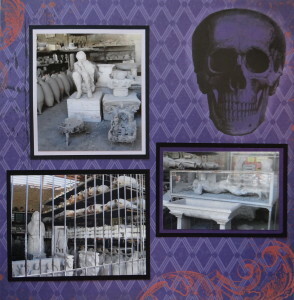 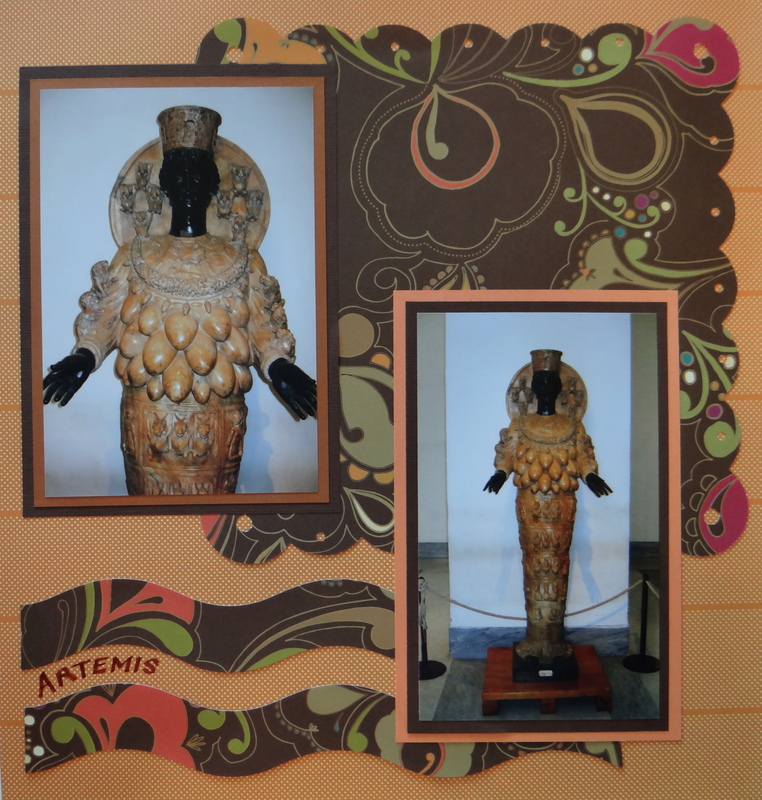 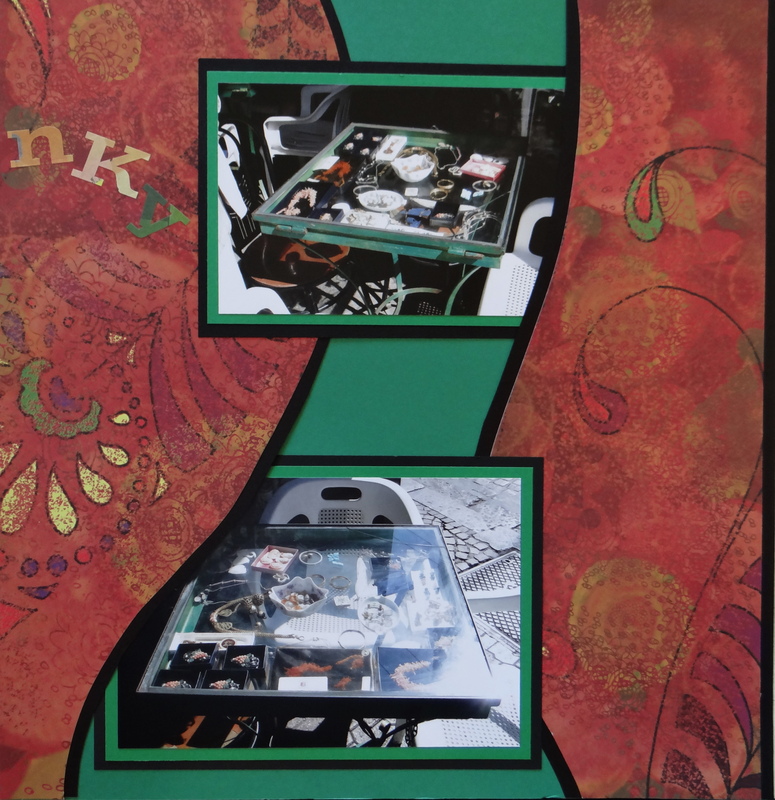 Inspiration: The reclining mannequin and the pasta shop gave me themes for these Naples scrapbook pages. The tea set and the settee are from Cricut Heritage. 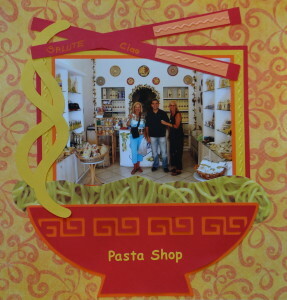 The bowl is from Pagoda and the Pasta is from “From My Kitchen”. 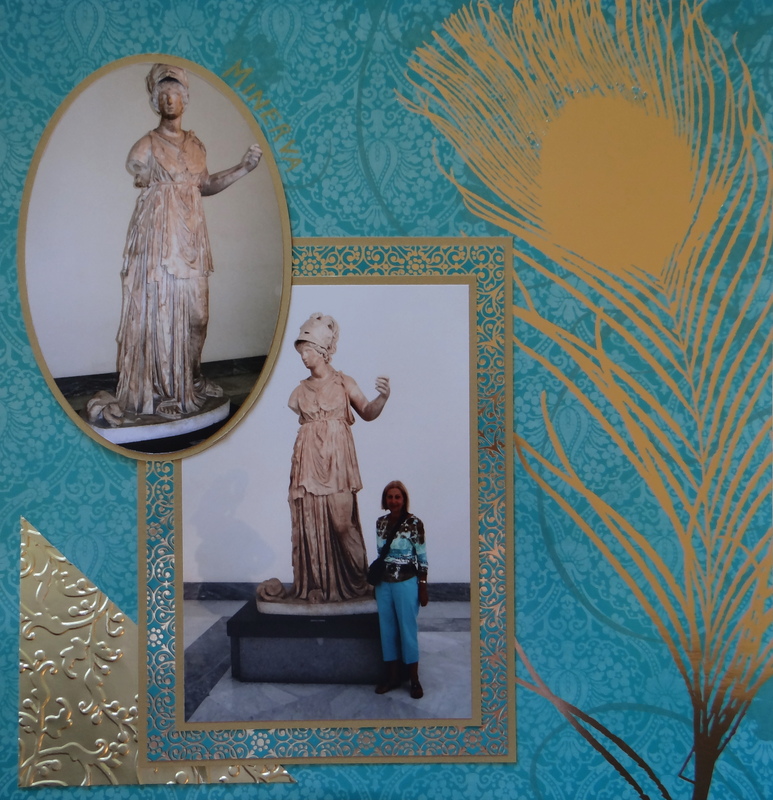 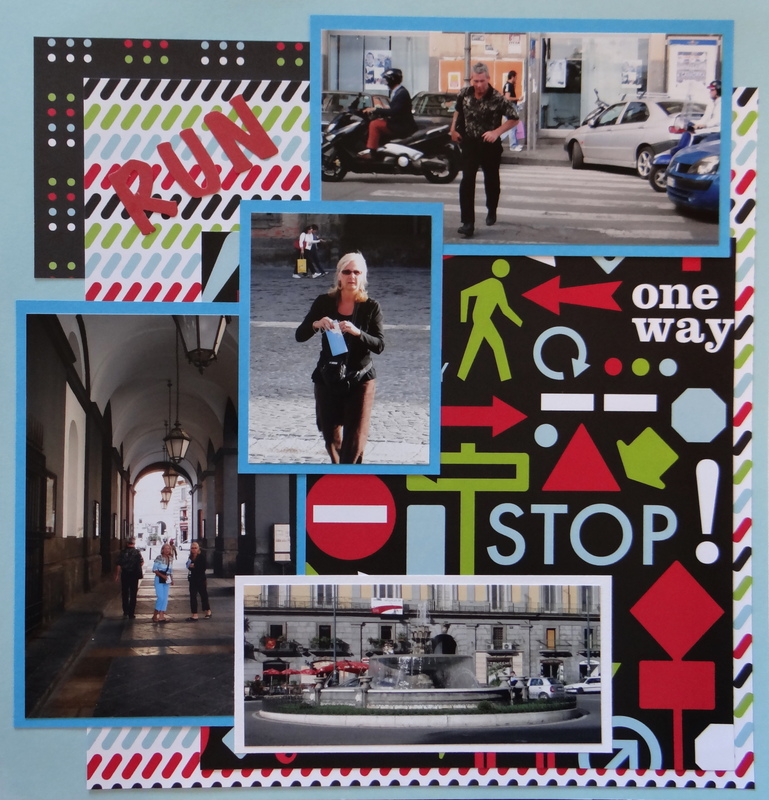 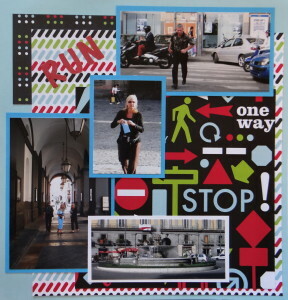 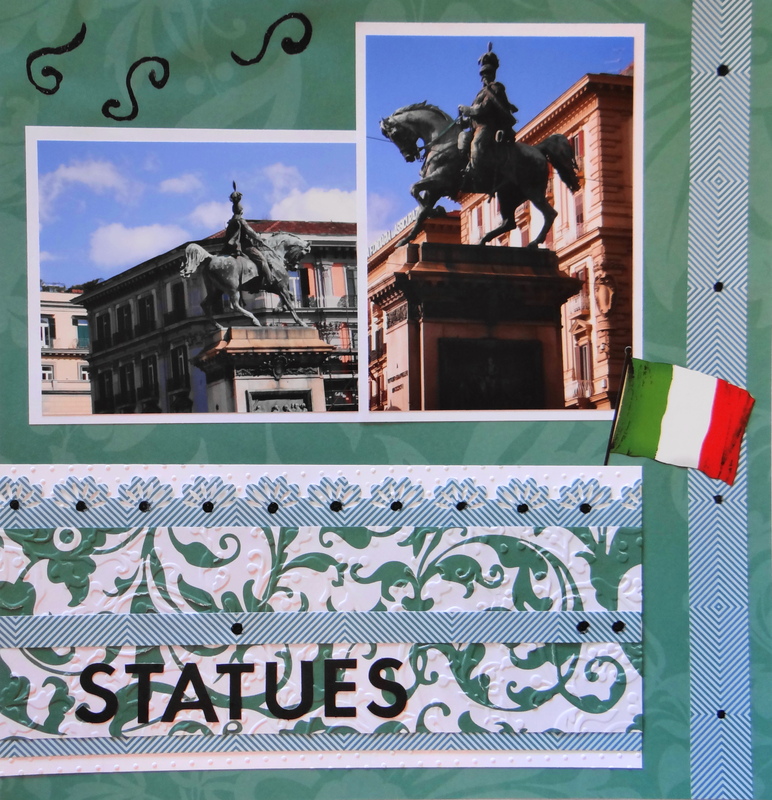 Inspiration: I chose turquoise paper because of my outfit for this Naples scrapbook page. 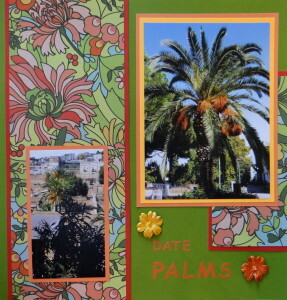 The beautiful leaf images are from Picturesque. I embossed them. 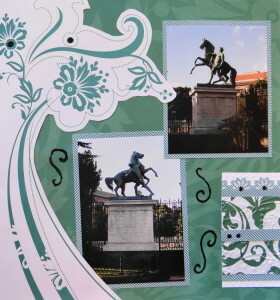 The scrapbook paper is from DCWV Royal Garden Paper Stack. 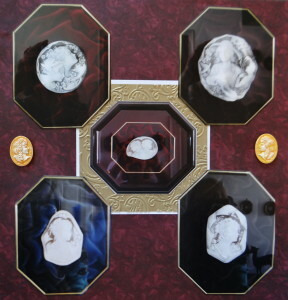 Inspiration: I had no idea that cameos were made from shells. 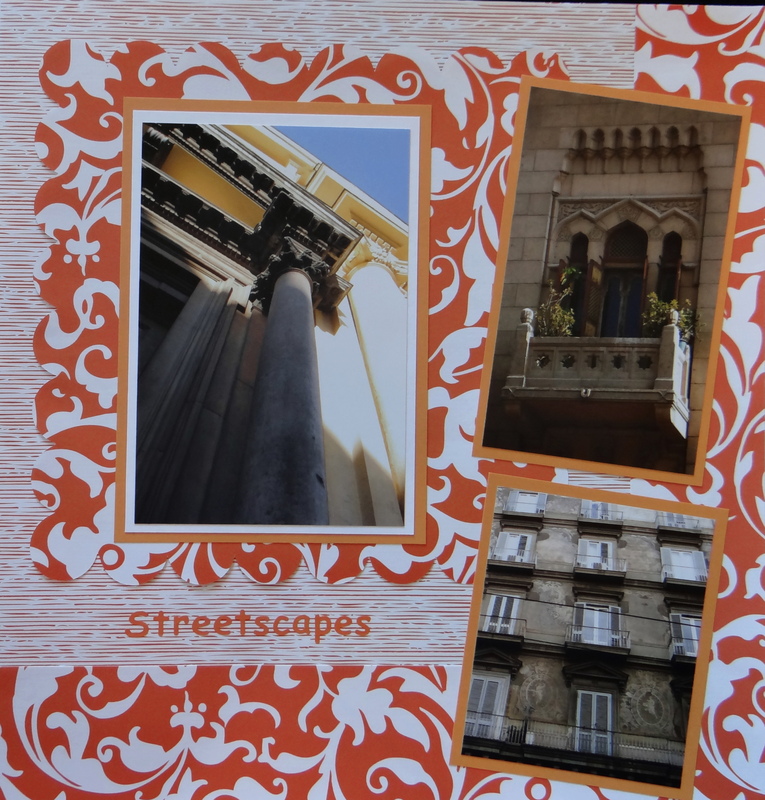 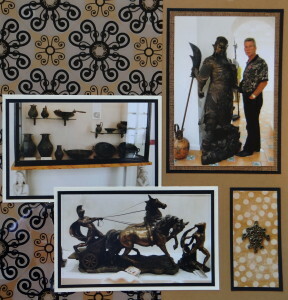 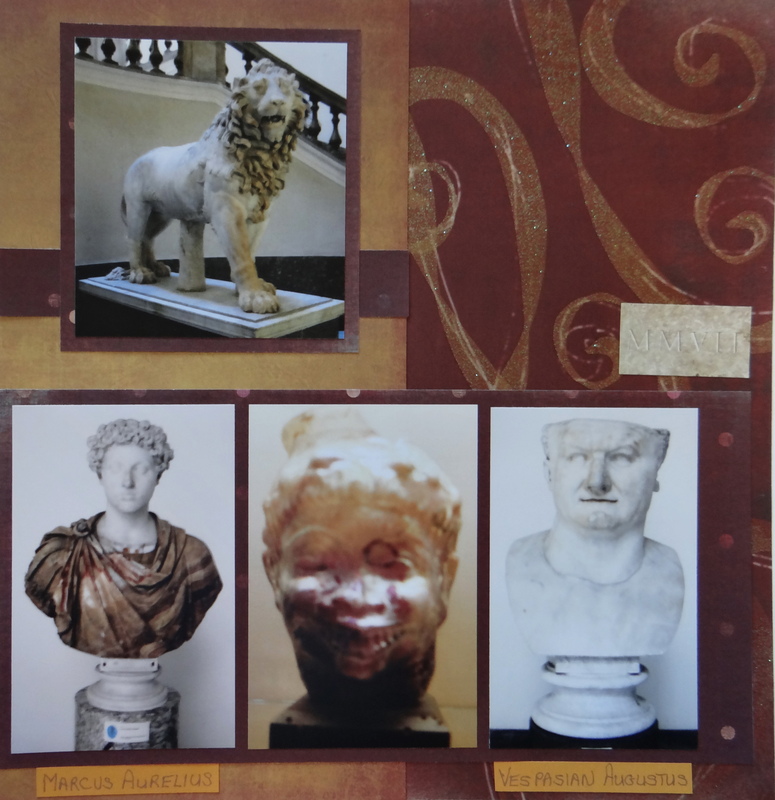 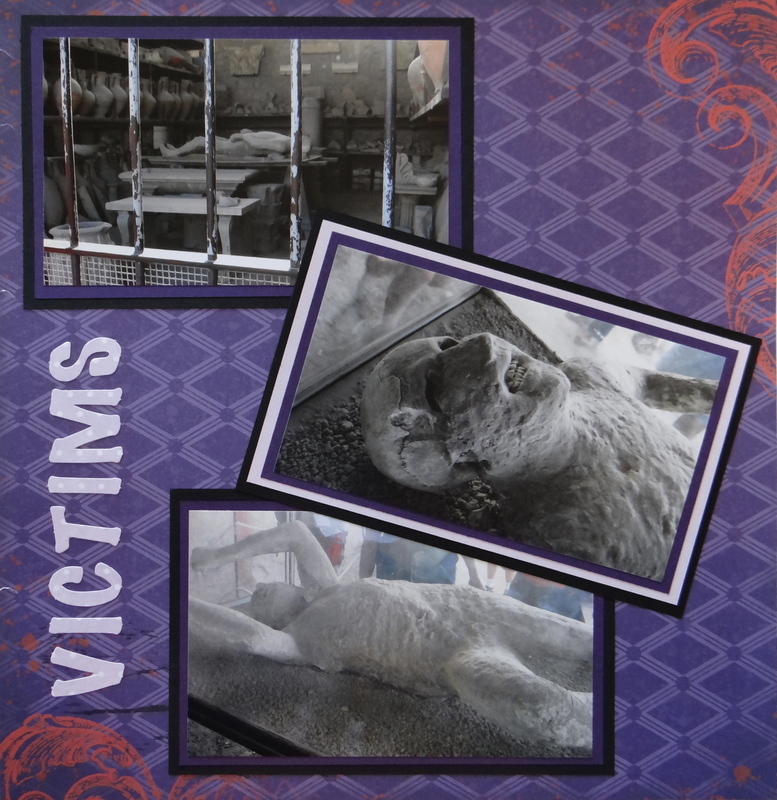 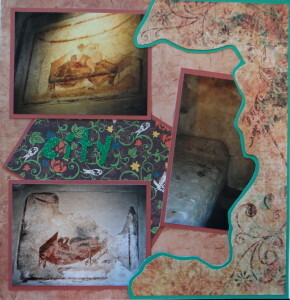 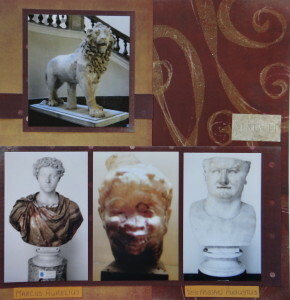 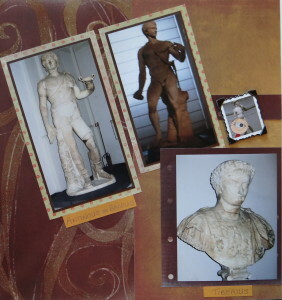 That gave a theme for this Naples scrapbook page. 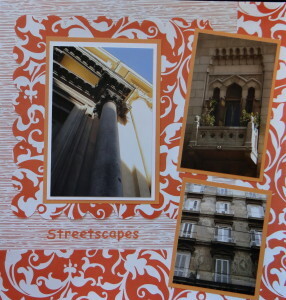 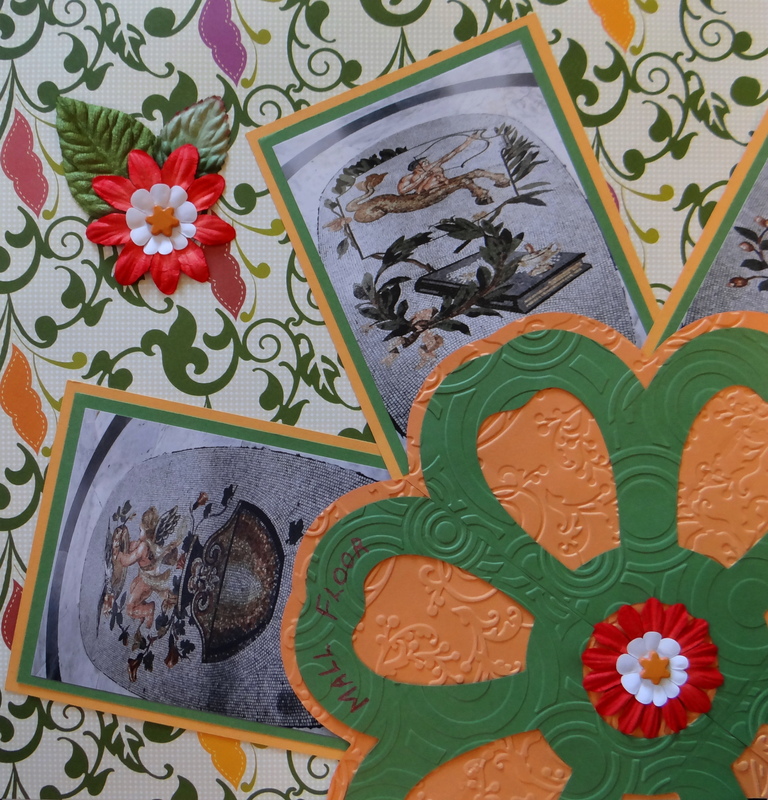 The scrapbook paper is from DCWV Saffron Paper Stack. 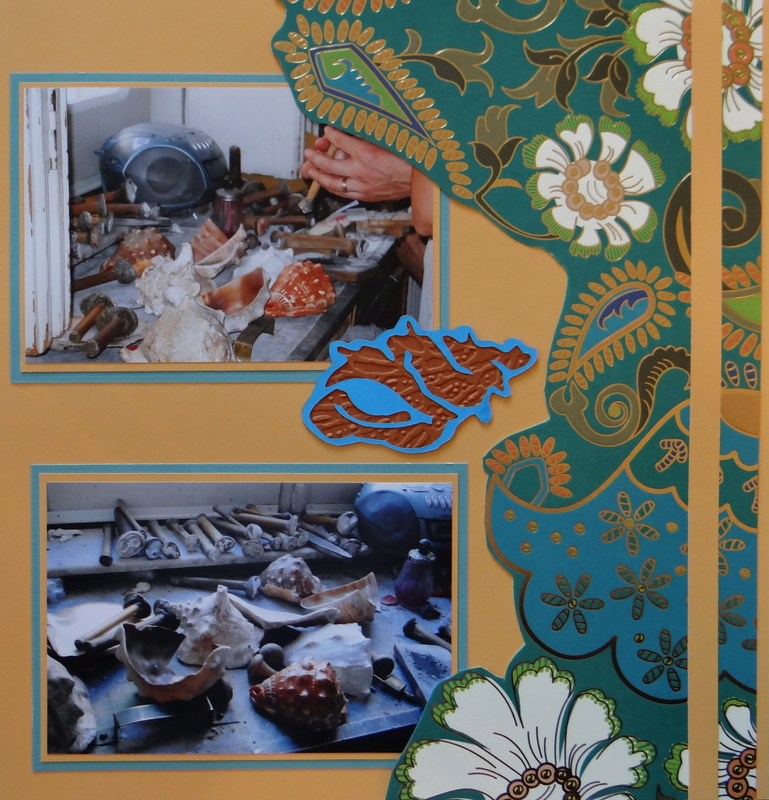 The shell images are from Life’s a Beach. I embossed them. 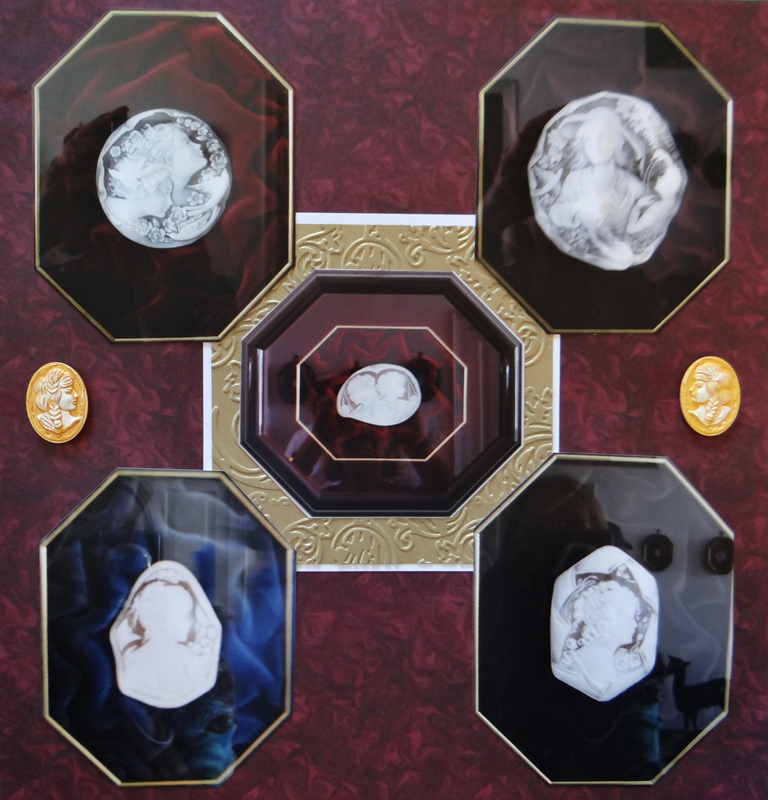 Inspiration: These cameos were all mounted on velvet, so I chose this paper. 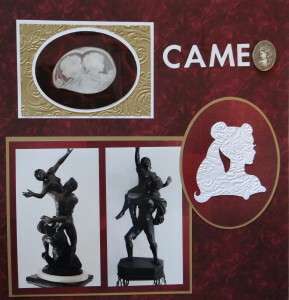 The cameo is from Cricut cartridge Disney Dreams Come True. Inspiration: The color of the ruins of this Roman brothel in Pompeii helped me select a paper. 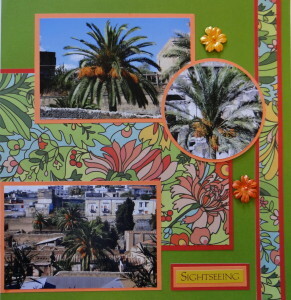 The scrapbook paper is from Studio D First Blush Paper Pad. 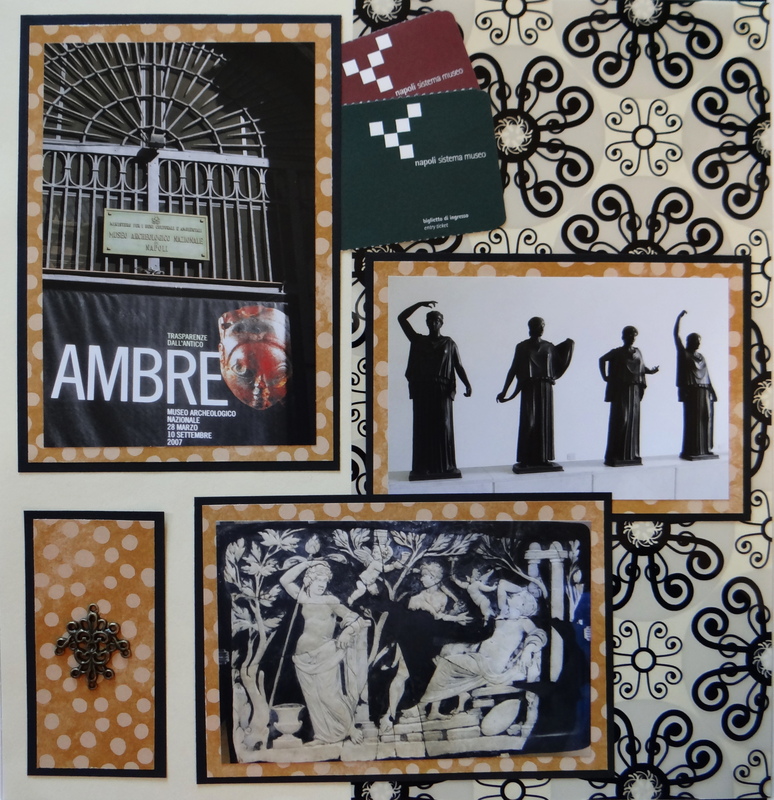 I cut it up and matted the pieces of a single sheet and spread it over 2 pages of background paper.